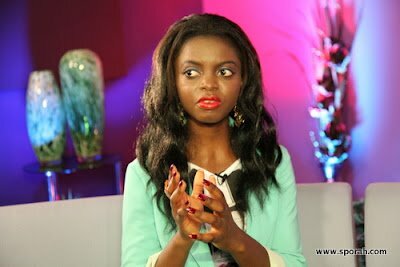 Sally Kah is a Social Entrepreneur, Fashion and Social Enterprise Researcher and Fashion Blogger. Sally is the Founder/Creative Director of Eighteen Forever- a social enterprise online fashion brand for women. The only fashion blog with a social enterprise ethnic print range in the North West of England. Sally started her Fashion Blog- Eighteen Forever early 2012 after completing her Master’s degree in Marketing Management. The same year, Eighteen Forever was nominated for Fashion Blog of the Year at BEFFTA Awards and Black Weblog Awards. The brand launched its clothing line in May 2013 with the support of UnLtd. In addition to textile sourcing, design and blogging, Sally organises research seminars to support her publications. Her first seminar article “The media, you and your body” was published in Africa Fashion Week London Magazine 2012. Eighteen Forever has attended a number of exhibitions over the past year- Africa Centre Summer Festival. “Eighteen Forever is a social enterprise online fashion brand for women. The brand social aim- is to create sustainable income/work for those in developing communities through fashion design”. Eighteen Forever is featured in- Africaidea, Liverpool Lifestyle Monthly Magazine, Ciaafrique, Fashioncadet, Echo Magazine (Kenya), Africa Fashion Week London Magazine and Looksigned.